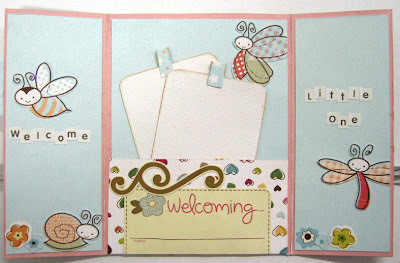 scrappin it: Welcome little baby - WIN A CARD! 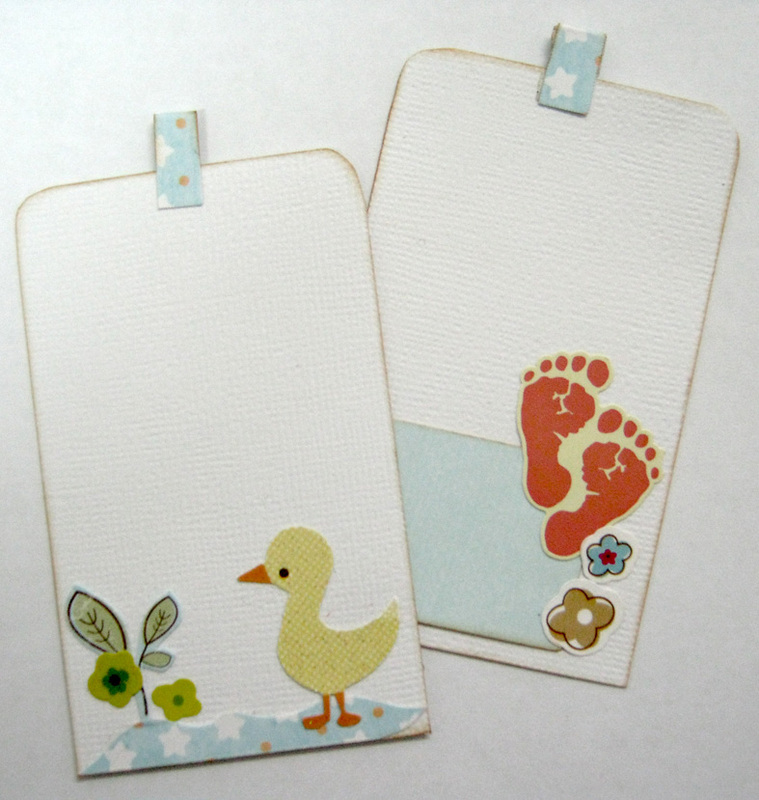 Welcome little baby - WIN A CARD! The November kit of the month club by My Punch had a few really cute baby papers by Little Yellow bicycle and stickers by Pebbles. There were also American Crafts papers and other goodies. When I saw all of the cute baby stuff I just had to do a "welcome Baby" card. Since I don't have anyone to give it to (no one I know is expecting…) I decided to give it to one of you! All you need to do is leave me a comment and one of you will get this adorable card. 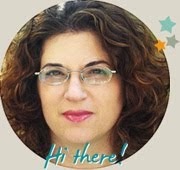 If you also subscribe to my blog or become a follower, you can win an extra surprise! This is how the card looks when it's closed. I left the front empty so you can add a name or a title. When the card is opened there is a little pocket on the bottom part with two tags inside it. 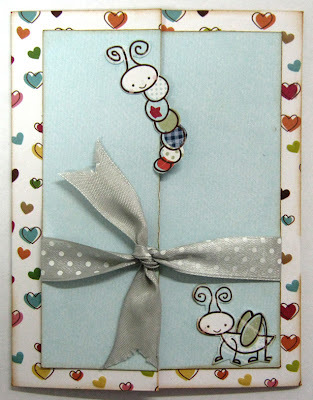 You can add a sentiment or write your congratulations on the tags. Your card is sooo cute!!! I love the details and how it opens to reveal more beautiful things inside. Your card is adorable! It's sad that you don't have anyone to give it to--whoever gets it will be so excited! כרגיל- אני מתה על העבודות שלך! וגם הכרטיס הזה לא נופל מאחרים. הוא מתוק ויפהפה! ויותר מכרגיל- כי אני גם מגיבה, גם מנוייה על הבלוג, וגם מתה לזכות בכרטיס!